Microsoft ha appena rilasciato Windows 10 Insider Preview Build 18267 ai Windows Insider che hanno scelto il canale di distribuzione Veloce (Fast ring) o Skip Ahead. 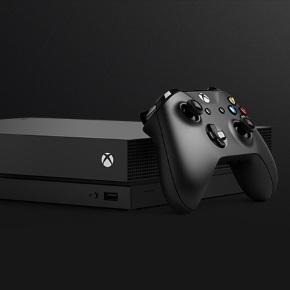 Si tratta di una nuova versione di anteprima di 19H1, il settimo grande aggiornamento per PC e tablet equipaggiati con Windows 10. 19H1 sarà rilasciato pubblicamente per PC e tablet nella prima metà del 2019. Vietnamese Telex and Number key-based keyboards are now available on your PC – Do you write Vietnamese? We want you to have the best possible typing experience, so we’re happy to announce that with this build you can now use Vietnamese Telex and Number-key based (VNI) keyboards for typing Vietnamese! Bringing these keyboard options to PC has been one of the top feature requests in the input space, so we’re looking forward to you trying it out! Here’s a short gif of what it looks like (using the touch keyboard so you can see what we’re typing). More symbols are now available on the touch keyboard – Now you can easily access more symbols and special characters directly from touch keyboard. After changing to the number & symbols view (&123) on the touch keyboard, just tap the new ‘Ω‘ key and you’ll now see a number of tabs with lists of symbols. Narrator works better with Chrome now! – Using up and down arrows in scan mode, navigating with tab key, continuous reading commands, and navigating by headings and links have initial support for Chrome, with more functionality coming in future flights. Narrator Braille – BRLTTY version 5.6 is now provided which adds USB support for Inceptor and Orbit 20 displays. In addition, the BrailleNote Touch is recognized when using USB. Liblouis binaries and tables have been updated to version 3.7.0. 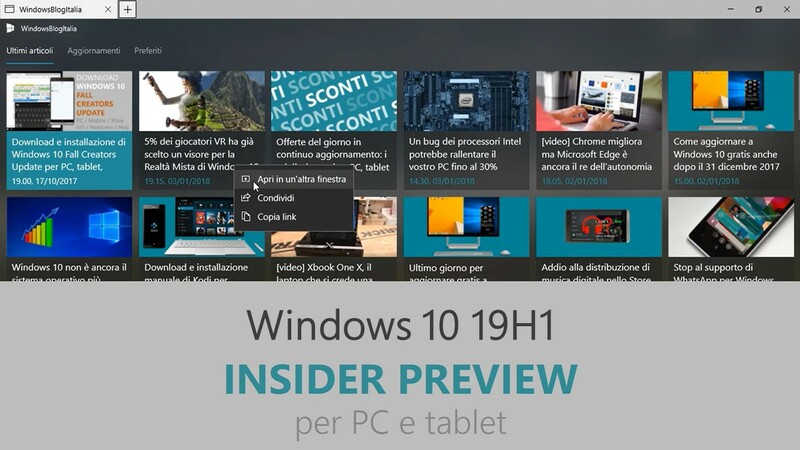 Trovate tutti i dettagli sul precedente aggiornamento, Windows 10 Insider Preview Build 18262 in quest’altro articolo.